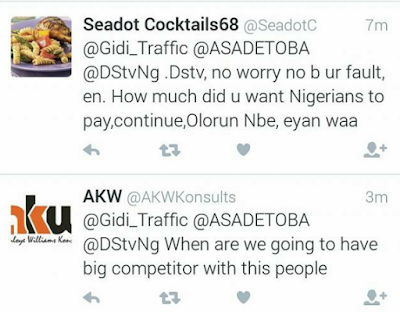 Multichoice, the owners of Digital Satelite Television, DSTV is currently trending on Twitter and the reason is not far-fetched. 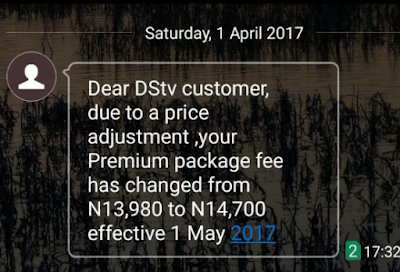 DSTV subscribers have reportedly received a text disclosing a price increase for all its satellite pay TV bouquets in Nigeria as from 1st May, 2017. 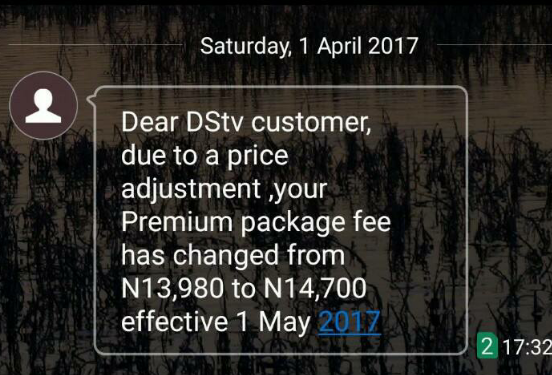 Nigerians have already shown how dissatisfied they are with this, as they alleged that DSTV which is owned by Multichoice, is taking advantage of the monopoly in the market. 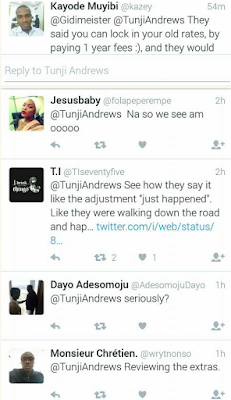 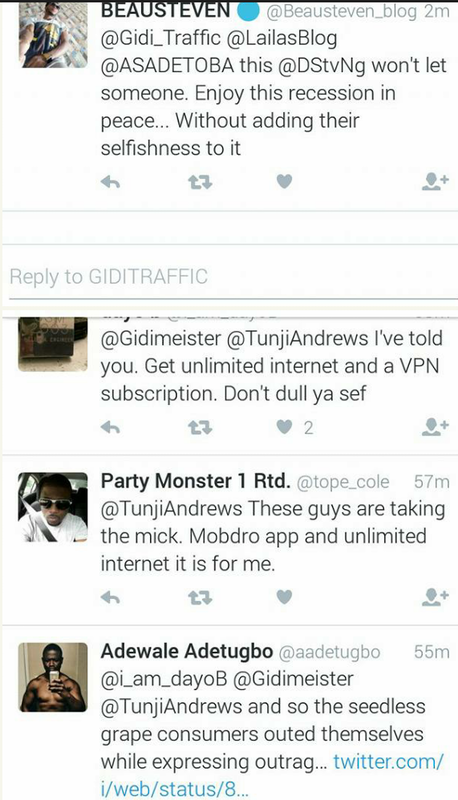 It is also alleged the company said that for one to lock in his/her old rates, the subscriber has to pay for one year.